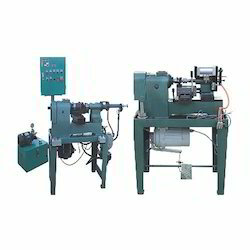 We are a known trader and importer of Winding, Forming, Lacing and Motor Fine-Coarseness Machines. 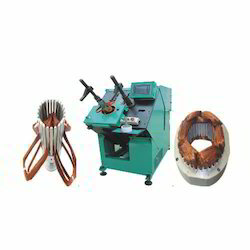 Our range includes Motor Rotor Coil Forming Machines, Stator, Auto Stator and Automatic Coil Lacing Machines, to name a few. Offering you a complete choice of products which include wedge inserting machine, automatic lacing machine, single lacing machine, inserting machine and automatic coil winding machines for electrical industry. Offering you a complete choice of products which include turning lathe motor, turning machines, ring cutting machines, motor rotor fine-coarseness machine and motor turning machine. 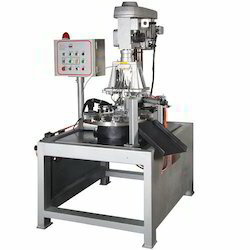 We are a leading Wholesale Trader of rotary table type automatic tapping machine, pneumatic slide way drilling & tapping machine, pneumatic linear guide drilling & tapping machine, vertical threading machine and pneumatic drilling machine from Thane, India. 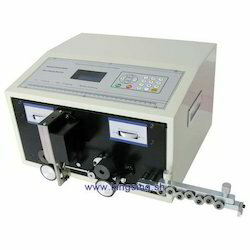 Pioneers in the industry, we offer wire stripping machine and automatic wire stripping machine from India.